Metronome is a an open-source cryptocurrency project focused on self-governance and cross-blockchain portability. Metronome (ticker symbol: MTN) is a an open-source cryptocurrency project focused on self-governance and cross-blockchain portability. Development of the protocol is led by former blockchain firm Bloq founders Jeff Garzik and Matthew Roszak as well as Peter Vessenes. ﻿The Metronome blockchain is designed allow MTN token holders to run metronome smart contracts on any EVM compatible blockchain. 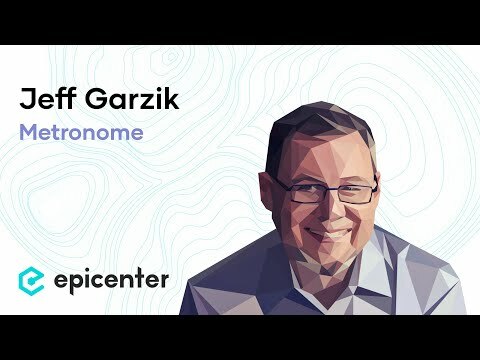 Will Metronome Cryptocurrency Fulfill Jeff Garzik's Blockchain Vision? Blockchain interoperability is the ability for different blockchain platforms to communicate and transaction with one another. Rootstock is a smart contract platform with a 2-way peg that rewards merge mining on the Bitcoin blockchain. SpaceChain is a blockchain software company making open-source satellite software that enables satellite integration with blockchain nodes.